Hubby had a client call in Baliuag, Bulacan last week and brought this for me as well as a pack of chicharon. 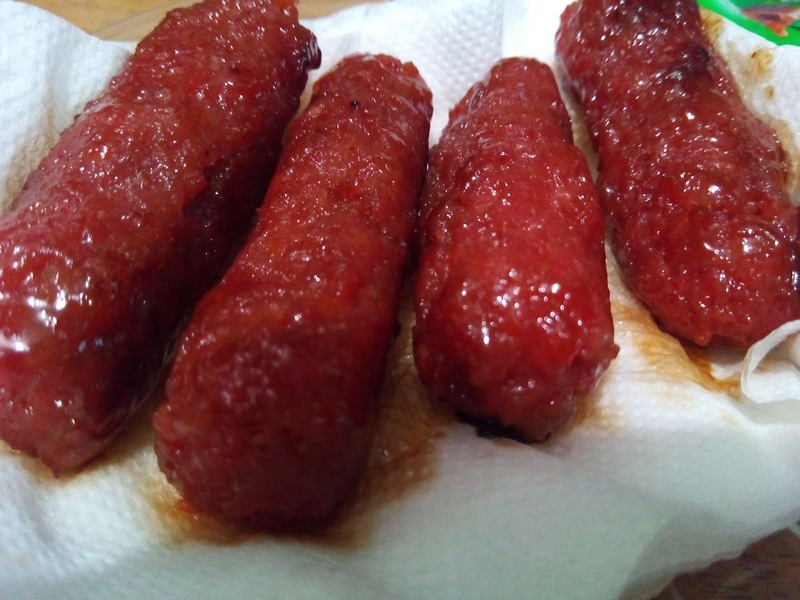 The chicharon didn't leave a lasting impression but this longganisa did. Aside from being easy to cook, its also not laden with pork fat. Tastes just right also- not icky sweet and spiced just right. Best paired with salted eggs and tomatoes. 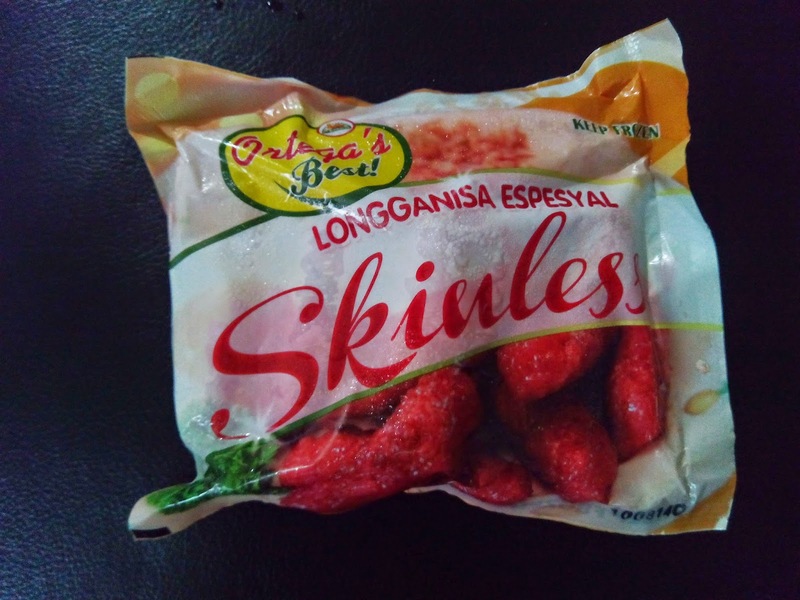 A small pack costs only P45. Alas, this is only available in Bulacan. I was a bit mad at hubby for getting only a pack. But he said he's going back to Bulacan again sometime soon and he doesn't want to buy a lot just in case its not delish.